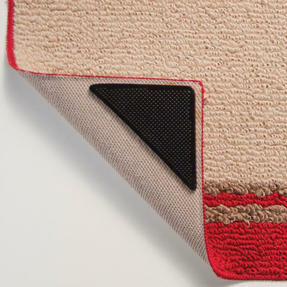 Keep your rugs securely in place with these superb grippers which are designed to prevent mats and rugs from moving. 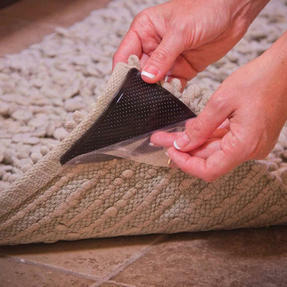 Simply press the grippers to attach them to each corner of the rug and stick to your hard floors without causing any scratches or leaving sticky residue. With eight rug grippers included in a pack, you can ensure you stop rugs from curling up at the corners making them drastically easier to vacuum. 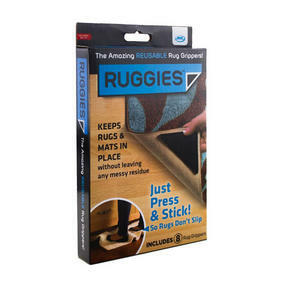 Perfect for any busy home, these grippers will keep your floors looking neat. 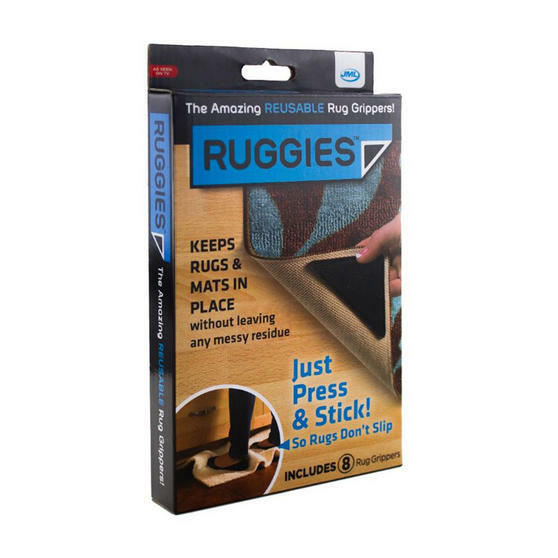 Prevent your rugs from slipping and sliding across your floors with these grippers from JML which securely grip to any hard floor. Whether you have children or pets, these grippers will keep your floors tidy ensuring rugs stay exactly where you want them. Simple and effective, the grippers hold the corners of rugs down ensuring they do not curl reducing the chance of tripping. They are conveniently reusable so you can move a rug and attach it elsewhere and they do not cause and scratching or damage. With eight included in a pack, these grippers are a wonderful addition to any home making rugs neater, safer and easier to vacuum.